Patients are the fundamental part of every medical practice. Gaining a loyal following in the medical industry is much easier said than done. It requires effort, but it’s well worth your while. While it is necessary to maintain your relationship with existing patients, it is also necessary to grow your clinic and add new patients. Here are some ways to improve your marketability to your current patients, making them that much more likely to sing praises about you to their network of family and friends. Post real pictures of your team. If your business doesn't have a robust online presence, you might as well not exist. It’s doubtful that anyone will walk into the first medical office they see and arbitrarily decide to become a lifetime customer. Google handles over 3.5 billion searches on a daily basis and a recent survey showed that 41 percent of patients said that their choice of physicians and hospitals were influenced by the social media. Before selecting a doctor, eight out of ten patients will do turn to Google to answer health inquiries. If your medical practice isn’t online, chances are you’ll not be in great shape for the future, and many patients will not know you exist. Consider getting an Amazing Medical Practice Website and also invest in digital inbound marketing strategies, such as blogging, Pay-Per-Click (PPC) advertising, search engine optimization (SEO), and social media marketing to make your clinic stand out. Make sure that your website is beautiful, easy to use, informative, and mobile-responsive. With over 60% of searches coming from mobile devices, having a mobile-responsive website will keep you above your competitors. An online presence is not just a beautiful, polished website; it is also a reflection of the care you provide and an extension of your office. This is critical for the growth of your clinic and for attracting new patients. The objective of your website is to enlighten your current and potential patients so they can make informed decisions and call your clinic for an appointment. Creating a clinic website is probably the best marketing tool in your arsenal. Other than a means connecting with friends and family, social media is a powerful marketing tool. Physicians are understandably wary of social media, which many believe is a double-edged sword. But the truth is, it can also be a huge, cheap marketing asset and a great way for healthcare providers to engage with their patients to build brand value for their practice. Social media is also an avenue to advertise your clinic. When your patients “like,” ‘’follow’’ or “share” your content on social media, their entire social network see it. That can push a lot of user traffic to your page and may help generate leads without spending a dime on advertising. The trick is to provide fresh and relevant content so that your followers can engage and share your content. Post short articles and details about wellness tips, medical advances, general health information, preventive care, news about local health events or any relevant information regarding the services you provide. You can use hashtags such as #HealthcareForAll, #Nurses, #Physician and #PatientExperience to reach your audience on Twitter. It is not a good idea to communicate any patient-specific confidential or sensitive health information through the social media. It’s the digital age now, and it’s necessary for the healthcare community to utilize more technology in their practice. Young people are keen on having a technologically connected healthcare experience, and you can easily achieve it through cost-effective technical updates. For instance, consider having an electronic registration or check-in when patients first arrive, they should also download their lab results from the portal instead of calling your clinic, and patients should be allowed to schedule appointments or make inquiries via email. Offer patients the option to pay for their appointments online. That way they will honor their appointments more. Also, consider making the waiting room a pleasant experience for your patients, offer WiFi or have a TV playing with Netflix or any other streaming site. Emailing prescriptions to your patients is also a great way to rise above your competition and prove that you are committed to their wellbeing. By Including details about medication, dosage and any special lifestyle-related instructions that you’d like them to follow, you are ensuring better patient adherence to treatment. Hospitals are increasingly adopting the use of mobile apps as a means of connecting with their patients. Your Mobile app should offer patients the convenience of being able to book appointments, get second opinions, receive health information, health reports and even get in touch with doctors whenever they need to. If patients are contented and happy with the convenience offered by your clinic, it means better health outcomes for your patients – and the more likely they will refer other people and to your clinic. Even if you have a functional website or active social media accounts, it is imperative to train your team to interact and listen to the needs of your patients. Nurses, receptionists, and the support staff need to ensure that the patients have the best experience whenever they visit your clinic. Simplifying appointment booking, reducing long waiting periods, quick billing, supporting insurance reimbursements, improving access to health records and scheduling follow-up care are some of the critical aspects of clinic management that can increase patient satisfaction and improve referrals. It is important to train your staff appropriately in subjects relating to clinical knowledge and strategic direction. They should be able to present a great first impression and address patients questions regarding your practice. Your staff should not only speak intelligently about the specific medical services you provide but also offer details such as equipment used during procedures, pricing, what to expect during a consult, etc. Ditch stock photographs and generic photos on your practice website and social media profiles. Instead, post real-life images of your team, office and the comfort your clinic offers patients. Add some personality to your practice website and make it an extension of your clinic. An individual’s health is serious to them and their loved ones. To make sure they are going to the right practitioner, tech-savvy individuals will search the Internet and social media for patient reviews of your clinic to read how they describe their experience. Patient reviews are one of the good ways to attract new patients and grow your clinic. Encourage patients to share their experience on an online review website. Send a follow-up email to your patients, thanking them for their visit and encouraging them to review you online. You can also incentivize feedback, reviews, and referrals by hosting contests with prizes and giveaways or offering discounts or free services such as monitoring items for blood pressure or heart rate. With the permission of your patient, you can share their reviews on your website. Try some little gestures to make your patients happy, it reaffirms your relationship with them and motivates more positive word of mouth referrals and online reviews for your clinic which in turn leads to more revenue for your business. Most importantly, you need to monitor your online reputation. Unfortunately, it’s usually the disgruntled patients that are most vocal on online reviews; this can lead to a massive misrepresentation of the care you provide. Respond quickly to both negative remarks and praise; by addressing patient concerns and complaints online, you demonstrate a proactive nature to prospective patients. It shows potential patients that your clinic cares and actively engages with patients. The more positive reviews you get, the more calls you’ll get from potential patients. Now you know that there is a “demand” for reviews and referrals make sure you have the supply! Your patients will not refer your clinic to their family and friends if they aren’t satisfied with the quality of your services. Strong referring relationships bring patients your way and as such are important in today’s competitive market. Physicians shouldn't rely solely on their past reputations; they need to revive the old relationships and secure new ones. The dynamics of strong referring relationships are built on knowledge and trust. Referring individuals want to know that their family or friends will be in good hands when referred to you, certainly as this reflects upon their reputation as well. It is essential to find out who referred your new patient by using an electronic referral system to keep track of your referral colleagues and identify trends in their referral patterns. This is because it is worth the time to thank your patients for referring people to your clinic. This gesture makes them feel special and goes a long way in ensuring you have a healthy relationship with your patients. Professional Branding is a concept that lends itself particularly well to the medical industry. 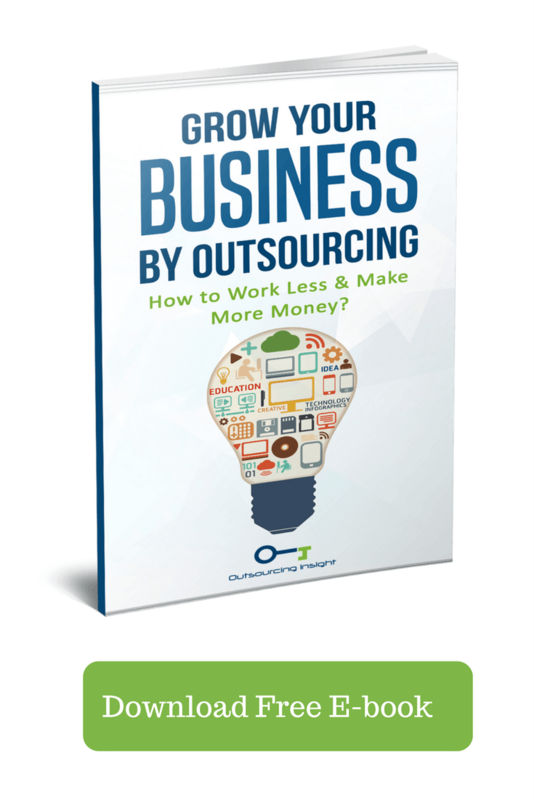 It is how businesses of all types reach the next level of popularity even if you are a medical practitioner. It should also be uniform across all platforms, including both print and online. Most doctors never consider branding their practice; others dismiss the exercise as a mere stunt that could devalue their credibility. This is a big mistake. Branding doesn’t mean remodeling your clinic to become commercially appealing. No! It merely means focusing and building your public image around what your practice does well. For instance, your office could brand itself as an ideal home for children with a particular illness, on-the-go professionals, or for the elderly patients. Standardizing your brand will help increase and develop trust in the medical community and tells your patients about the services that you provide. Times have changed in the medical community, and your competition is getting more resourceful and smarter each day. You have got to differentiate your practice and expand your profile from your competitors. Creating a brand gives you the opportunity to carve out your niche. You have to be the best in your niche. Engage your social media to its fullest potential. Generate the best content possible. Teach your patients that taking care of their health should be a top priority and shouldn't stop when they leave your clinic. All your hard work will come to nothing if you can’t give the best care to your patients. If you do that, you’ll have the best of both worlds. Patients will be proud to be associated with your clinic, and they’ll be happy to help you spread the word. In addition to referrals from family and friend, it is also a good idea to build a relationship with referring physicians, emergency physicians, and primary care providers in your community. Patients will often ask these physicians for recommendations, and your networking skills could help increase your patient volume. This usually happens when specialized medical procedures are required or when a case requires second opinions. Referrals from physicians are hence an important means of making impressions in your clinic. Doctors and physicians around your clinic area will be interested in referring their patients to you if you’ve been referring patients their way. Maintaining a good relationship with them can ensure better business returns. Considering 72% of people looked up health information and medications online before or even after being diagnosed by a doctor, a well-written blog post may be the answer they are searching for. Health providers should educate their patients about a variety of topics such as case studies with current patients, thoughts on specific treatments, announce local events, wellness tips and share updates about your practice. By updating and writing fresh content regularly, you will help boost your SEO and make it easier for patients to find you on the search engine. You can then promote your blog using your social media accounts to engage with potential and current patients. Most people don’t even think about their doctors unless they’re sick. That’s a right mentality, but it’s not necessarily the correct one. You want your patients to always think about their health, even if that doesn’t mean visiting your office on a regular basis. Talking to your patients about relevant health topics – and more importantly, helping your patients to understand why those topics are so critical – is a major way to improve both your business and your patient satisfaction. The more your patients care about their health, the happier and healthier they’ll be. And the happier they are, the more likely they are to recommend you to their friends. As a patient leaves your clinic, give them free educational materials related to their condition and encourage them to read them. Say someone is "Diabetic," give them a brochure of "Daily tips for best diabetic care" and talk about it. I am not referring to materials lying in the front office. Before you reach out to new patients, it's important that you understand your current patients. Take a look at your records and take note of the average gender, age, location, and profession of your existing patients. The information will help you to identify the best marketing techniques to promote your clinic and attract new patients. Over 70 percent of people searching for medical experts make their selection based on local listings in online directories such as White Pages, Yelp, Google+, etc. Listing your clinic in a local online directory is a great way to steer targeted traffic to your website. Email marketing is an efficient method of maintaining a steady flow of patients. General updates about your clinic to your existing patients. Proper media exposure can attract a large volume of new patients and increase the expertise and branding of your clinic. Generating media exposure requires follow up, time, effort and a thorough understanding of how the media works. Media exposure can produce surprising results when done correctly. Giving back to the local community is one of the simple ways to get new patients to your clinic. Make sure to participate in fundraising efforts or community events. Provide medical services or supplies on a volunteer basis. It helps retain current patients and projects a positive and charitable image of you. Set up a seminar to explain and educate your community about medicine, treatments or even healthy lifestyle habits. Accept invitations to speak about trending health concerns. Organize a wellness clinic at the local senior center. Speak about adolescent health at the high school in your community. Host workshops for kids and teach them how to take care of their hygiene and health. Parents will sincerely appreciate this and will consult you when they are in need of a physician. The idea of connecting with your community is to get noticed by people who are unaware of your clinic and the services you provide. It’s an opportunity to educate, support and expand the list of potential patients in the community. Try a “we miss you” mailing campaign to re-engage with your patients Even if they seem reluctant; you might just be able to convince them to come back with a few small gestures and the right timing. Most clinics spend a better sum of their resources to attract new patients, and they forget to take care of their current patients. You need to follow-up with your existing patients after their checkups. The follow-up care is a part of the health plan, and it ensures that your patients are on the right path to recovery. It is natural to forget things, and the doctor’s appointments are no different. Email reminders have been found to be extremely helpful in reminding patients to come by for appointments. You can schedule follow-up emails after each checkup to ensure your patients never miss their appointments. You have to focus on building personal connections with your patients by showing real interest in them. You must be able to make your presence positive and uplifting. Your manners, the look, and feel of your clinic are also essential. Always answer your patients emergency calls. If they are suffering and you are not available for them, they will never come to see you again. You need to be available for your patients during emergencies because if you don't, they will leave you and wouldn't waste a minute spreading a good word about your practice. You need to monitor your patients continually. It must be exhibited from the highest level in the clinic down to the lowest. Your patients will surely notice if your front desk is so nice, while the nurses are terrible & rude. Wherever, a patient visits your clinic; they should feel comfortable and safe. Spend time with patients and answer questions about their medical conditions, fear factor or peer factor, self-website references, etc. If your patients have a chronic or complex medical condition, they need more than medical advice; they need inspiration, motivation to live and see the world differently. Find ways to give them hope. Sometimes, launch a Free Consultation of first visits; this will let the patients come-in more to the clinic before becoming a "loyal patient." Send personalized reminders for their chronic care and the reason why it is important. Finally, never underestimate the value of a smile and genuine empathy which touches anyone, there is no creativity than real care and love for your patients & intention to improve their health and motivation. By nurturing strong relationships with your current patients, you will attract more patients to your practice. 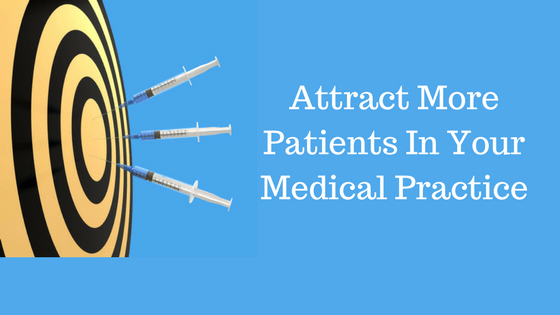 Try any of these ways to attract more patients and improve your patient experience. Results may not happen immediately, but you have to be open to experimenting.